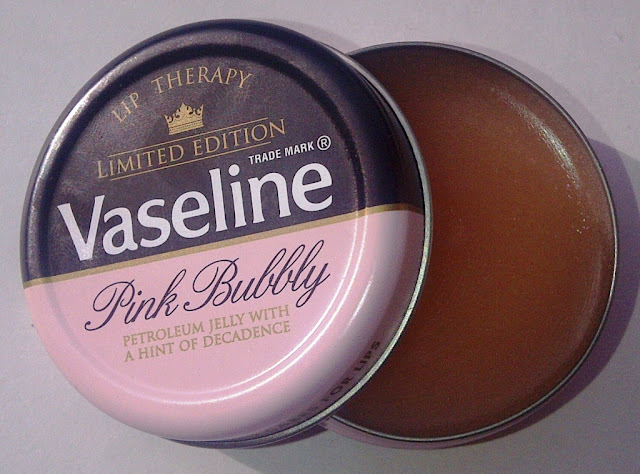 When I learned that Vaseline Lip Therapy were launching a new limited edition product in the shape of Pink Bubbly I knew that I would have to have it in my Vaseline collection. I didn't buy it straight away as I still had a fair amount of Creme Brulee left in the tin but now that it is suitably depleted I picked up a tin and I have not been disappointed. I have to admit that I don't suffer from chapped lips often so just use Vaseline nightly to keep my lips lovely and soft on waking and it has done the trick for years. However Pink Bubbly deserves to be kept in my handbag and used daily as it is so nice which you will see from the picture below. It has a lovely fizzy fruity scent which is really appealing. The tin design in pink and black is classy and the vaseline has a soft pink hue to it. Although it says on the tin that it delicately tints I find that the hint of colour is not noticeable on my lips at all. 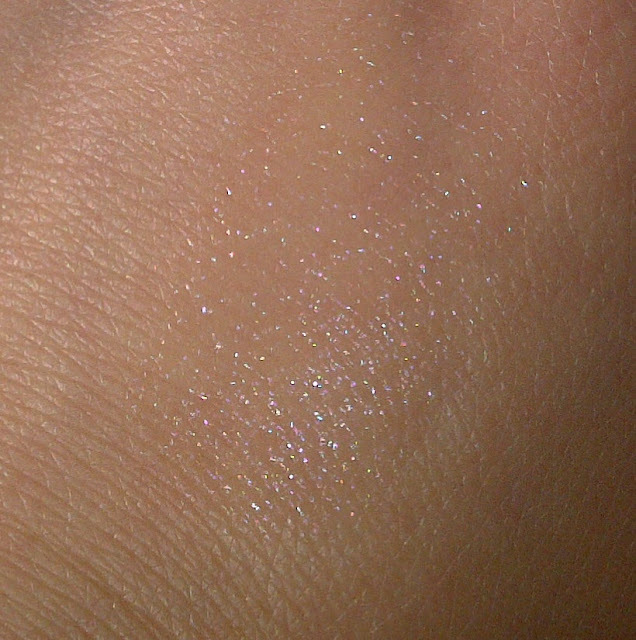 However, what Pink Bubbly does have is a very subtle shimmer which when the light hits my lips makes them look slightly fuller and very pretty and glossy This is why it seems a shame to just use it at bedtime.. It is a winner in my book!